In Uganda there has been an increasing demand for social facilities to assist orphaned children, due to the growth of the cities, the dissolution of traditional family patterns, and the high prevalence of HIV/AIDS. Therefore, the cornerstone for the construction of a new SOS Children’s Village was laid in autumn 2002. It was built in Entebbe and was inaugurated in January 2003 in the presence of the President of Uganda, Mr Yoweri Museveni and Mr Kutin, President of SOS Children’s Village International. The idea of constructing a second SOS Children’s Village in the country actually came up soon after the first one had been completed. Entebbe, Uganda's former capital and today its second largest city was chosen as the site for the construction of the second SOS Children’s Village due to its well-developed infrastructure. 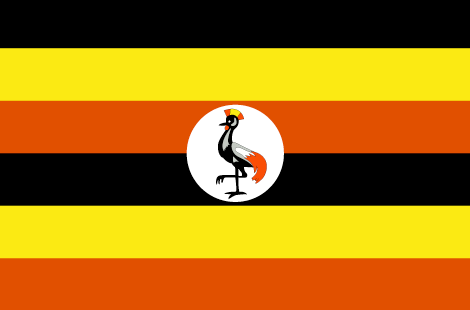 Entebbe has about 90.000 inhabitants and is located on a peninsula, only 35 km from Uganda’s capital, Kampala. The strip of land connecting the peninsula to the administrative district Mpigi is only a few hundred meters wide. Entebbe is the home of the International Airport Uganda which made the headlines of the international newspapers in 1976 when the Israeli Army was involved in the liberation of airline passengers who had been taken hostage. The choice of Entebbe as the location of Uganda’s second SOS Children’s Village not only guarantees an efficient way of providing children and youths with an education and access to the job market, but it also enabled SOS Children's Village International to carry out the construction of an SOS National Office which had become necessary in order to coordinate SOS activities in the country. The best way to get from Entebbe International Airport to the SOS Children's Village is to take the urban motorway from Entebbe to Kampala and make a turn after about 9 km. The entrance to the SOS Children's Village is on the right side of the motorway next to the shopping centre Abayita Ababiri. The SOS Children’s Village Entebbe consists of 12 family houses, a Village Director’s house, and accommodation for the SOS aunts (who take care of the children when the SOS mothers are on leave), a guest house, a multi-purpose hall with library and an administrative and service block. The maximum capacity of the SOS Children’s Village is 120 children. The SOS Kindergarten, which is a part of the SOS Children’s Village, started operating in 2003. It includes three group rooms, one Montessori room, a kitchen, a playground and various side rooms. At the moment, a total of 100 children from the SOS Children’s Village and its neighbourhood are taken care of at the SOS Kindergarten.